If you're new to our blog, thanks for stopping by! If you're a regular follower, welcome back! We're so excited to be participating and sharing some fun projects with you! We have partnered with seventeen additional stamp and papercrafting companies for this Spring blog hop, giving away 18 prizes to 18 lucky winners! All the details for participating can be found at the end of this post. Spring has finally arrived here in the Pacific Northwest. As I'm writing this, the sun is shining and the grass and weeds are growing! It feels good to know summer is just around the corner. We chose some products from Concord & 9th to create some wonderful cards for the Spring projects we'll be sharing today. We hope you enjoy them and that they inspire you to get creative. The Posie Fill-in stamp set is perfect for creating backgrounds using multiple colors. I used the MISTI stamping tool, and created numerous backgrounds in multiple colors, quickly. The MISTI allowed me to switch colors easily without having to line up stamps each time. I used the backgrounds to create several cards, and have a couple left for some future projects. 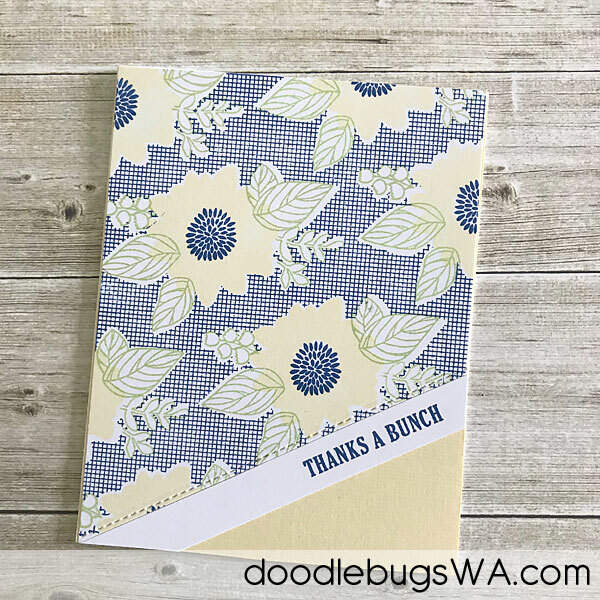 I trimmed the background for the card above using the Stitched Scallop Basic Edges from MFT Stamps and added "Thanks" from the Concord and 9th Fabulous Phrases die set. I used the Wonky Stitches die from Avery Elle to trim this background. Added some ovals and another phrase from the Fabulous Phrases Die set from Concord and 9th. One last card to share, and some backgrounds that I hope to make into cards soon. Taylored Expressions. Be sure to subscribe and leave a comment before heading over to Taylored Expressions. 1) Follow our blog and each participating sponsor in the hop (link to sponsors listed at the end of this post). 2) Comment at each blog stop. Love the simplicity of these cards. Very pretty. Great stamps. If ypu have them you don't need printed paper! Wow, lovely cards! I really like the background. Love these cards, the stitched outlines, the backgrounds. They're all so pretty and seem easy to do! Love the posies stamp set nice background. Wonky stitched die is fun. These cards could be used for so many occasions. Love them. Love DIY backgrounds! Very pretty! Thanks for the idea of using the Misti and creating different backgrounds with the same stamp. Really like the muted colors you chose. Beautiful cards! 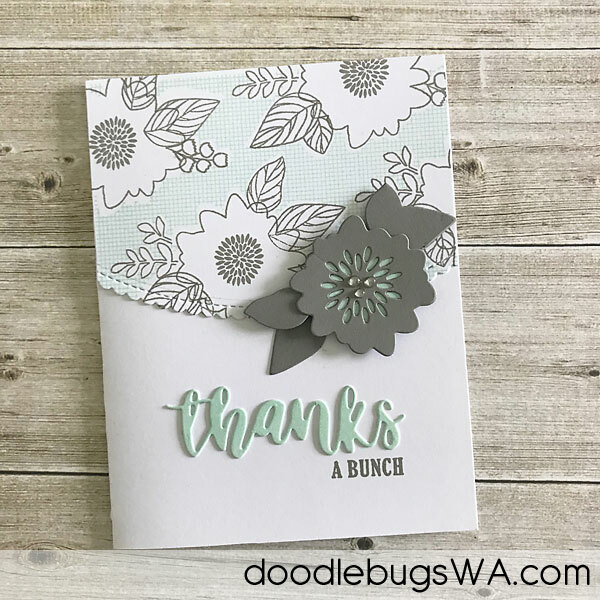 I love that Posie fill in background and I love all the different cards you made from it! Thanks for sharing all these beautiful cards with us! I am new to your site. Love the cards that you shared! Fantastic examples using the stamp set and dies. Thanks for the lovely inspiration. I love using florals on cards. THey can easily be made to fit almost any occasion. I love these clean and elegant cards, congrats ! These cards are very pretty. I follow you on Bloglovin'. Simple and elegant! Love these! Beautiful cards! I love that set from C&9. Thank you for the inspiration. Great cards and colors. Love the Butter with Narwhal and the mint with the narwhal!! May have to order some new colors!! Great start to this blog hop. Winning these would definitely allow me grow my personal business as a card maker. Love these cards, so clean and nice ones... Hmmm, would be hard to choose one. Very pretty cards. Thanks so much for sharing..
Beautiful cards! Love the set and have now put it on my list! Your cards are so fun. I really think you make some great color & design choices. amazing card ideas! love the stamps and colors used! I love how hopping with this giveaway inspires me. I absolutely LOVE the grey added to your colors. It is just a perfect and classy look without being black. I think I forget about grey and I shouldn't. Love these cards and backgrounds. I just got a C9 fill in stamp over the weekend and I'm anxious to try it out! Thank you for the opportunity to win and the fabulous giveaways! Thanks for showing so many different ways to use this stamp. Lovely cards and stamp set, so versatile. It is fun to see it soft and delicate and bold and bright. Thanks for your participation in the blog hop and your generosity. Wow, gorgeous cards. love your color choices. Wow! I love the retro colors in these cards! Они прекрасны! Нежные, красивые открытки! Very cool cards. Thanks for being a part of the hop. Really pretty samples. Love the colors. Clever card ideas. Thanks for showing the different ways to use these stamps. Edna B. Love, love, love these cards! Wonderful job. Lovely cards! 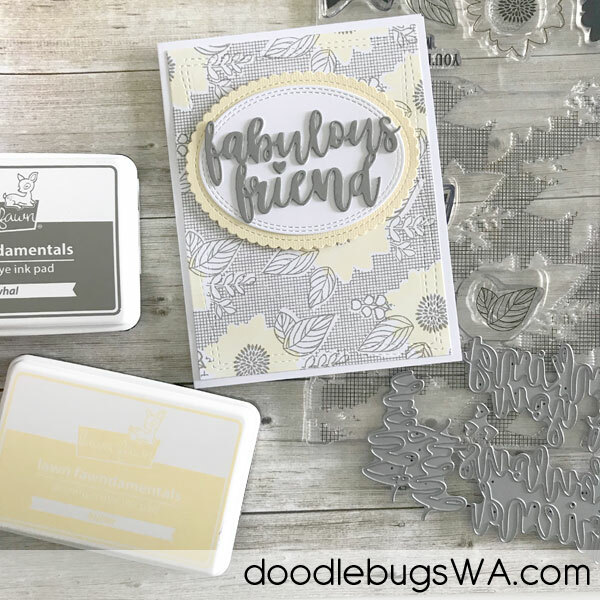 Beautiful stamps and dies! Beautiful cards! I love the soft colors and feminine touches. Thanks for taking part in this fun and inspiring hop. Lovely cards! Love each one of them. I love all of these cards but especially the blue and yellow one thanks a bunch. So pretty! Such simple techniques, yet stunning cards. I love this fill-in stamp set. Although I am not familiar with your company, I love your cards. I'm loving the sweet details and the beautiful creations! Thanks for sharing your lovely floral cards. What lovely soft colours used on the cards. The fill-in stamps means you can create lots of different styles using the one set. Nice use of gray in the cards. Love each of these cards, very creative. I love these cards, especially the one with the curved and scalloped border. Lovely cards. I like the inks that were used, especially the soft colors. I did not know your brand yet. What a beautiful stuff you have! I really love the flowers! Ooooh I love these cards, they're very classy and elegant! 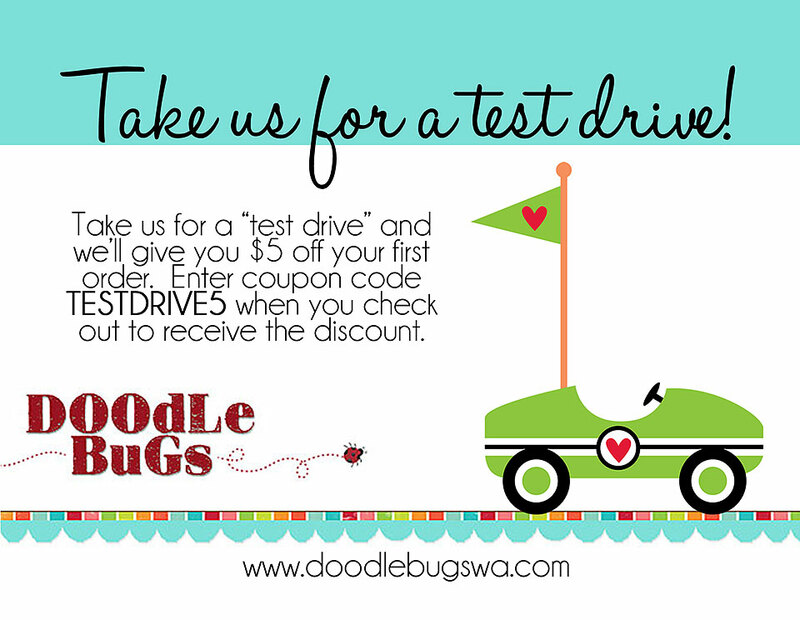 Thank you for participating in this blog hop, and being one of the sponsors! Yeah! Spring has sprung! Sweet cards! Such a stunning set of cards. I need it! Beautiful cards! All of these cards are adorable! I want one of each, please? How beautiful! I love them all! Such pretty colors! I love all the different ways you showed the one set! Wow! Love these beautiful cards!!! Love the cards you made! Concord and 9th - awesome company! Thank you. Such simple cards, but they make a statement! i like the screen look in the background. Lovely! Love the clean look of the first project, " Thanks a bunch". Beautiful, unique cards. I love the gray. Very interesting color of grey. It looked like you were putting the actual die on the card instead of the cut cardstock. Beautiful cards though. such a clean looking card! Love the font and the cross hatch background! Very clean and simple cards and very, very elegant. I really like the muted color scheme and the die cut flower. Nice work. Oh my gosh all these cards are so lovely! The colors are wonderful and the little details in each card make them even more special. Thanks for sharing and for the creative inspiration! Love the clean and gorgeous lines of all these cards. Your cards are fabulous...just like Concord & 9th! Love the gray tones....so elegant! Fantastic cards! I love the posie fill in. Such a neat stamp set! Love the different colors you used. Beautiful cards and I love the backgrounds with the yellow and grays. So pretty! Wow what awesome companies banning together for this hop, so much crafting to be done! The colors are so soft and just perfect for the spring flowers. I love the color combinations you've used on your cards! They all look great! Beautiful cards - love that background die! Enjoyed the subtle colors of your cards. Beautiful cards! Love the backgrounds. I love the grey and mint color combination! It's neat to see all the different variations on the Concord & 9th set. The third card is my favorite. I signed up for emails. Thanks for sponsoring the hop. Beautiful cards and backgrounds! Loving the Butter and Blue Jay BG. I am tempted to pick up this set. Thanks for the inspiration! Love the cards...the colors are awesome! Your cards are fabulous! Love the design and colors. Stitched scalloped edge steals my heart! I really like the background on these cards. The die used to create the scalloped edging perfect. Very CAS and elegant. Fun Blog hop! Simple yet elegant. Thank you. Love, Love, Love your designs and colors - WOW! Thanks for sharing!! Wow, amazing backgrounds. The grey and mint is my favourite. Love these thank you cards. Thanks for sharing. Great cards! Wonderful color combinations! Very pretty cards - love the colors. I follow you with email. Such a soft and serene yet striking card! So elegant! Love the detail - could stare at this all day :) TFS! Great cards! Love the pops of yellow. I follow you on Feedly. Thanks for sponsoring this awesome blog hop. Such beautiful cards! Thanks so much for the wonderful inspiration and chance to win! Love this hop. So much inspiration. I love, love, love these projects! Great stamps and the word dies are my favorite. Love the colors in the Thanks A Bunch card! Your store looks and sounds amazing -need to plan a trip to the Northwest!!! Hi Rosy- the winners will be posted here, and on the other blogs on May 11th. Thanks for sharing our cards with us! 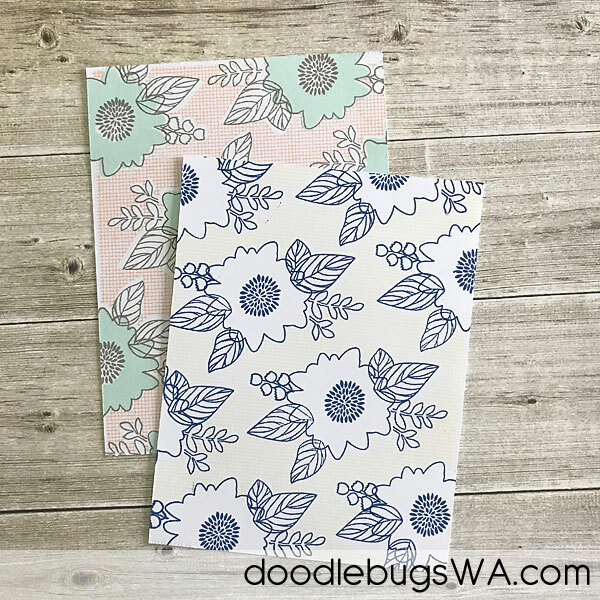 All the backgrounds created by using the Posie Fill-in stamp set are so gorgeous ! And I LOVE the colors chosen ! Lovely cards. Thank you for the inspiration. Fabulous cards AND fabulous products used!! Those are really cute cards and I need the inspiration. Wow! All the cards are gorgeous. Beautiful card - I love the grey and yellow. Both of the first two cards are really pretty with those two colors together. Very classic card designs, love them! Thanks for sharing your inspiration! What a delightful mix of card designs! Great cards. Such a clean look and tailored too. 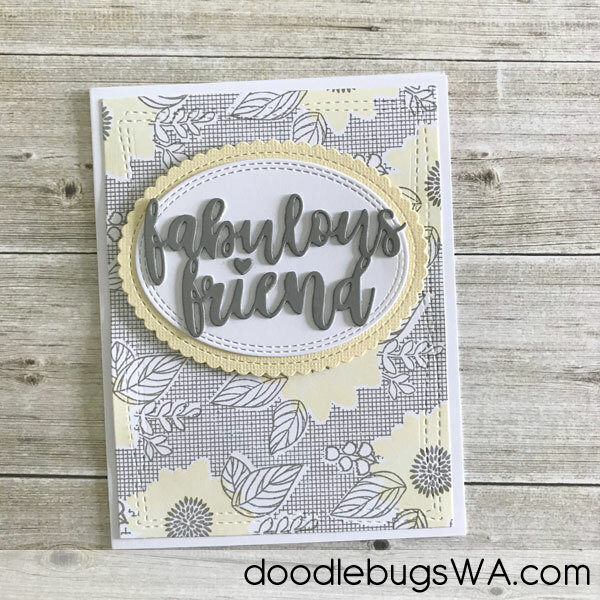 So many lovely cards created using the Posie Fill-In Stamp set! Great inspiration! And your color combinations are beautiful! I have one of the fill-in stamp sets from Concord & 9th and now I want to go play with them! really sets off the flowers. Wow! Thanks for the inspiration. I was looking to make some cards with these sentiments. Lovely cards! The subtle colour is a perfect addition. 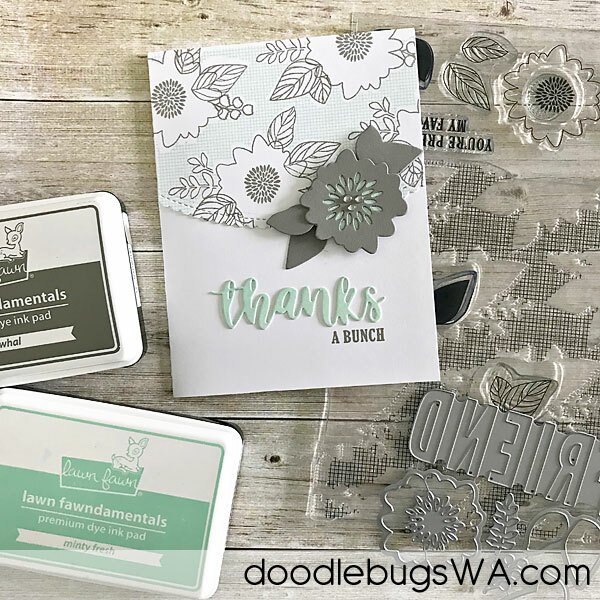 Beautiful cards using the Posie stamp set. Love the soft colors and the card designs! Thanks for the inspiration. Fabulous designed tone on tone graphic cards!! Great spring flowers too!! Great colors, details, patterns, and designs. Just lovely cards. Love them. Loving the soft pastel colours you used for the cards. love the color combos of these cards! Very pretty cards. Thank you for sharing. I follow you on Instagram.